This trip was our first time in South America. We were very excited and a little nervous. 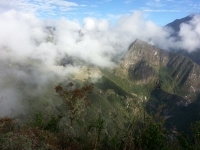 The 4 day Inca Trail tour with Inca Trail Reservations was great. 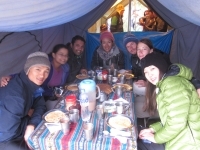 They created a memorable and unforgettable experience for us and the others in our group. Hacer el camino Inca ha sido una experiencia fantastica. Habiamos estado planificando este viaje desde principios del 2013 y no solamente no nos ha decepcionado en nada sino que ha sido mucho mas de lo que nos habiamos imaginado. Mi esposo y yo decidimos hacer este viaje despues de ver un documental en Discovery Channel sobre la construccion e ingenieria de Macchu Pichu. Nuestro objetivo era simplemente conocer Macchu Pichu, pero decidimos recorrer el camino inca. No somos los mas deportistas pero somos jovenes y activos. 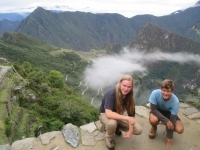 Having booked this 4D/3N tour through Inca Trail Reservations, we were pleased to receive regular e-mails seeking to assist in our arrangements for accommodation and other activities for our time in Cusco including a pick-up from the airport who was very easy to find. 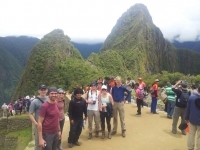 The overall experience from Inca Trail was amazing. From the beginning, the person with whom we corresponded about reservations responded quickly to any and all questions we had. This included hotel rooms for various cities along the way not associated with the trek itself. 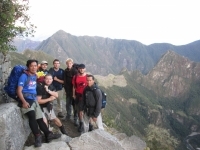 We choose to spend part of our honeymoon and the Inca Trail and we probably choose the best agency to organize it. The tour guides were just amazing (Raul, Guido and Elisban). This was an amazing once-in-a-lifetime experience!! We had an informational session the night before our trek where we met our guide, Carlos, and had all our questions answered. We started very early the next day. 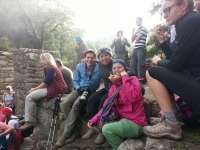 Just finished the Inca trail and we loved it. 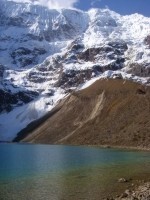 The Salkantay trek was my first trek. 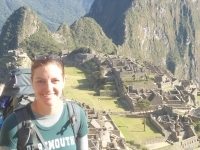 At first, the idea came from my friend Marion, who was living in Argentina and wanted to discover Peru. 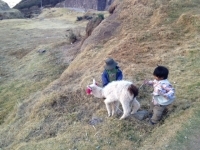 We had to wake-up at 4 am in the morning to join our “family” as Carlos, our guide, named it. 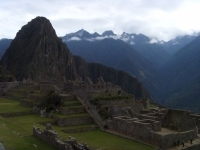 It was easy to arrange our trek with Inca Trail Reservations. Mariella was very helpful in answering all of our questions and in booking our transfers into and out of Cusco. 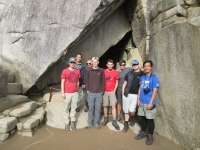 I decide to embark on this trek with my Uncle and colleague from the british army about a year ago and arrived in cusco after a 30hr trip from London, after 3days of acclimatization we were picked up at 5:45 from our hotel to the 82km mark by minibus our group consisted of 8 people all male. 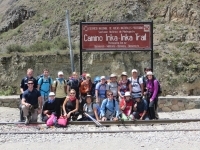 The Inca trail is a very testing challenge for all ages and fitness levels. The first day started relatively easy there where some small incline sections but nothing I couldn't handle. After maybe an hour or two walking we stopped for lunch as you will do everyday.